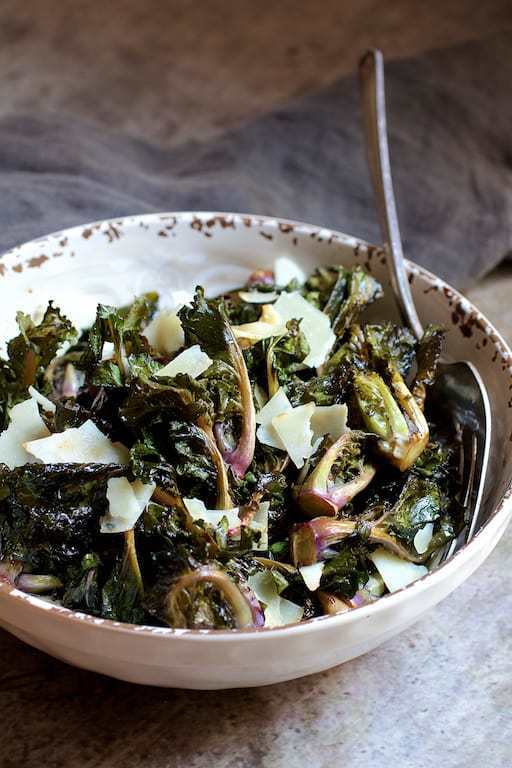 Toss kale sprouts with olive oil and balsamic vinegar. Season with salt and black pepper to taste. Roast for 20-25 minutes or until edges become lightly browned and sprouts are just tender. Toss with minced garlic, return to oven for 1-2 minutes. Transfer to serving bowl. Top with shaved Parmesan cheese and gently toss.